An incomplete list, subject to expansion and revision. Dates follow the format: day/month/year. Other major periodical archives contain thousands of concert notices and reviews. 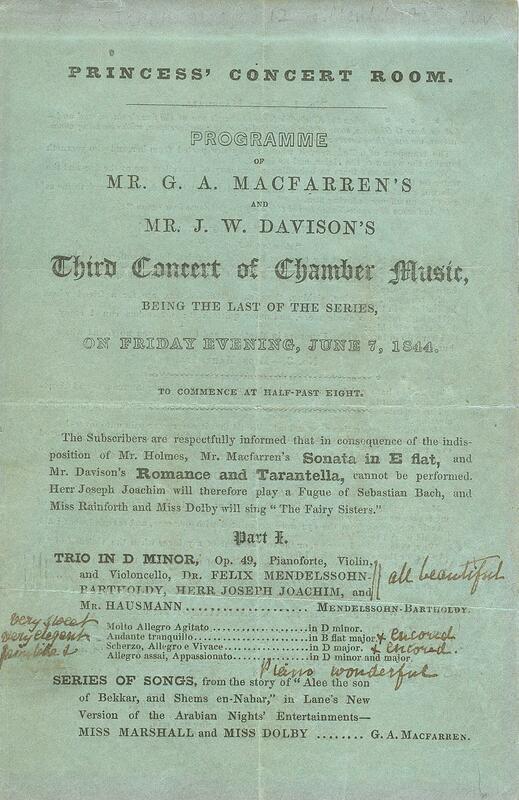 7/6/1844: Princess’ Concert Room, London: G. A. Macfarren’s and J. W. Davison’s Third Concert of Chamber Music. Mendelssohn Trio in d minor, op. 49 (Joachim, Mendelssohn, Hausmann), Bach Adagio and Fugue g minor, BWV 1001, Mendelssohn Quartet in D, op. 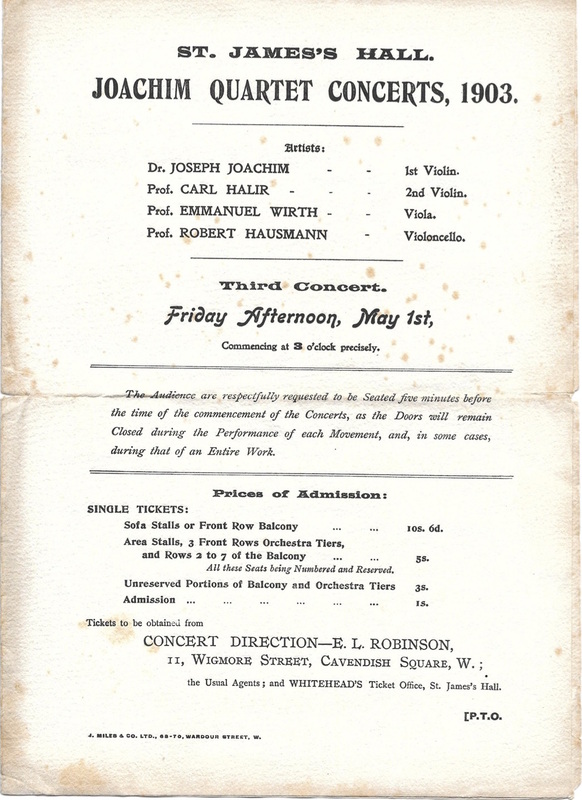 44 (Joachim, Goffrie, Hill, Hausmann); program also included songs by Mendelssohn and Macfarren, sung by Marshall, Dolby, and Rainforth. 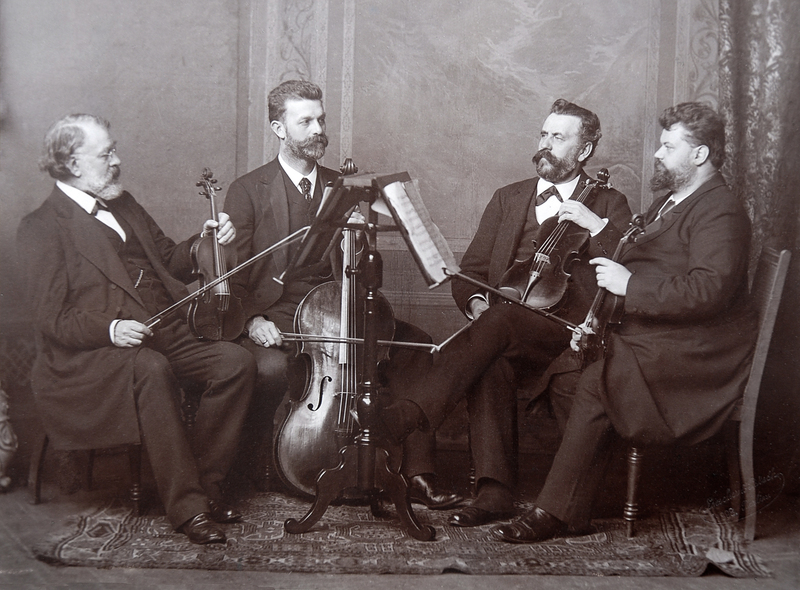 18/10/1845: Gewandhaus Leipzig: A Beethoven string quartet, together with David, Gade, and Grabau. Concert given by Lisa B. Cristiani. Ref: Program Stadtgeschichtliches Museum, Leipzig. 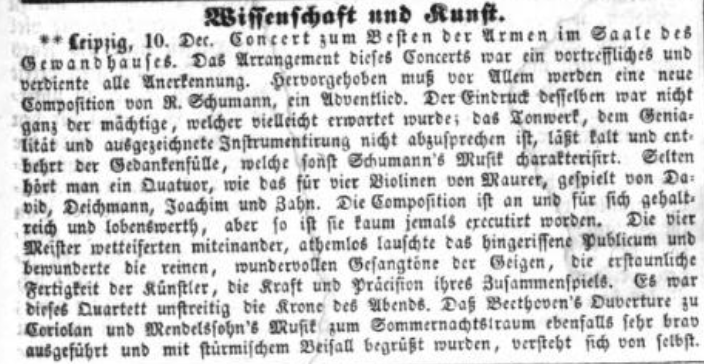 10/11/1845: Dresden, Hôtel de Saxe: JJ plays Mendelssohn’s violin concerto and David’s Variations on Schubert’s Lob der Thränen for Violin and Orchestra, op. 15 under Robert Schumann’s direction. 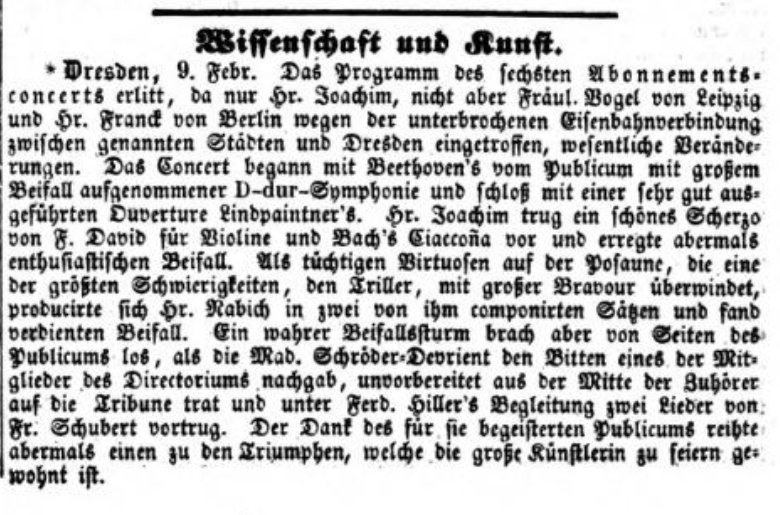 This Dresden premiere would be Joseph’s first performance of the Mendelssohn Concerto, and the third public performance of the work outright. 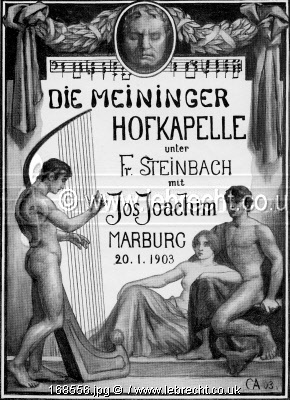 11/1/1846: Gesellschaft der Musikfreunde, Vienna. Ref: Wiener Zeitung, No. 11 (11 January, 1846), p. 84. Ref: Deutsche Allgemeine Zeitung (Nr. 43), Friday, 12 February, 1847, p. 369. 19/4/1847: London, Beethoven Rooms. Beethoven Quartet Society. Beethoven: Quartet in C minor, Op. 18, No. 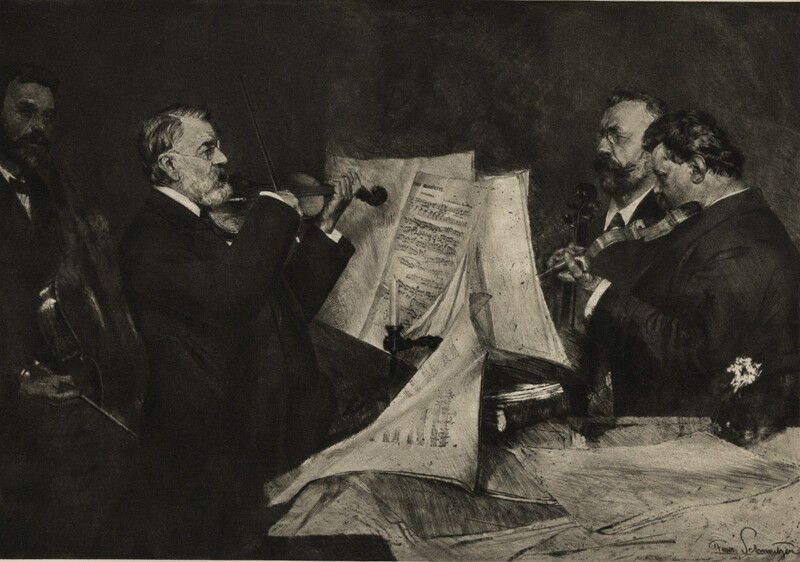 4; Quartet in E flat Major, Op. 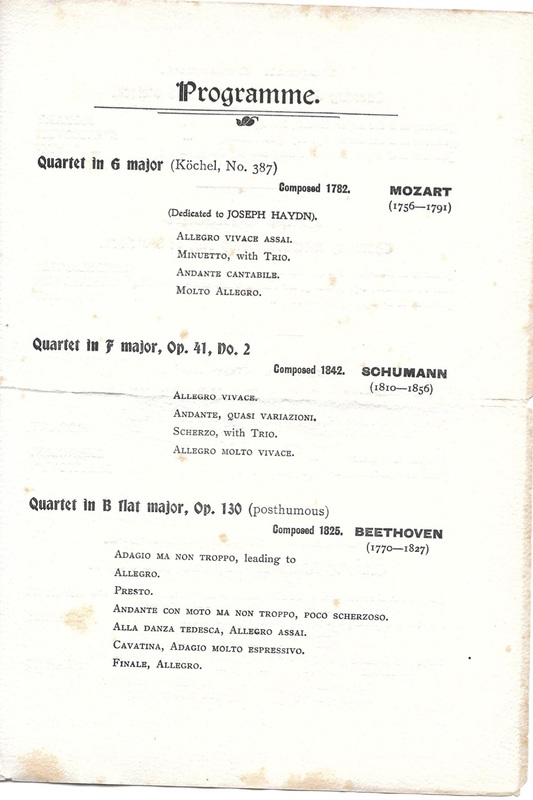 74; Quartet in A minor, Op. 132. Ref. The Musical World, No. 22 (24 April, 1847), p. 262. 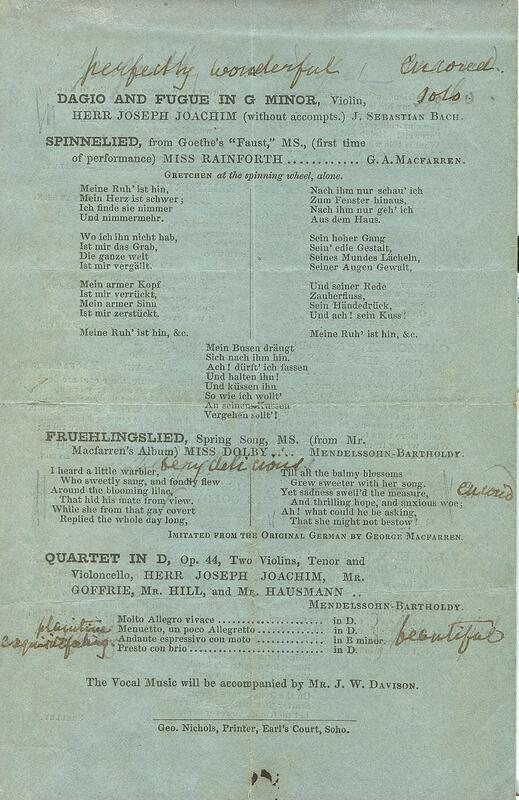 21/6/1847: Manchester, England: Mendelssohn Violin Concerto, Ernst Adagio and Rondo. Ref: Manchester Courier and Lancashire General Advertiser, Wednesday, 23 June, 1847. 11/3/1848: Hamburg: Beethoven Violin Concerto, Ernst Otello Fantasie. 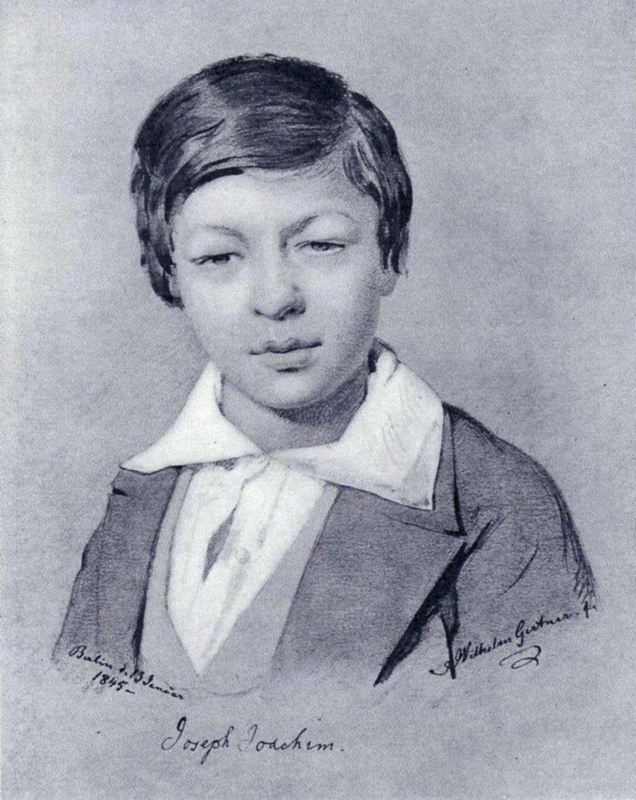 The concert is attended by the young Johannes Brahms, who hears Joachim for the first time. 19/10/1848: Gewandhaus, Leipzig: Weber, Overture to “Freischütz;” Mozart, Recitative and Aria sung by Minna Marpurg; Beethoven Violin Concerto (Joachim); Spohr, Finale from the opera “Zemire und Azor,” sung by Minna and Auguste Marburg, Frl. Stark, Herrn Wideman and Behr; Ferdinand David, Symphony after Goethe’s poem “Verschiedene Empfindungen auf einem Platze” (new, manuscript). Ref: Deutsche Allgemeine Zeitung, No. 291 (17 December 1848) p. 3824. 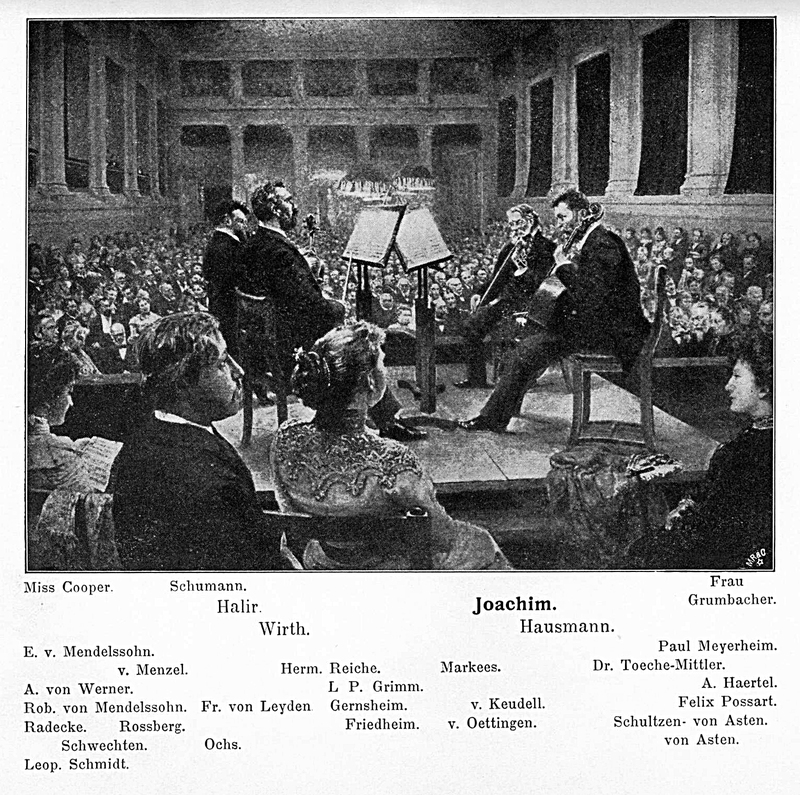 30/9/1849: Gewandhaus Leipzig: Mendelssohn Violin Concerto. Ref: Program Stadtgeschichtliches Museum, Leipzig. 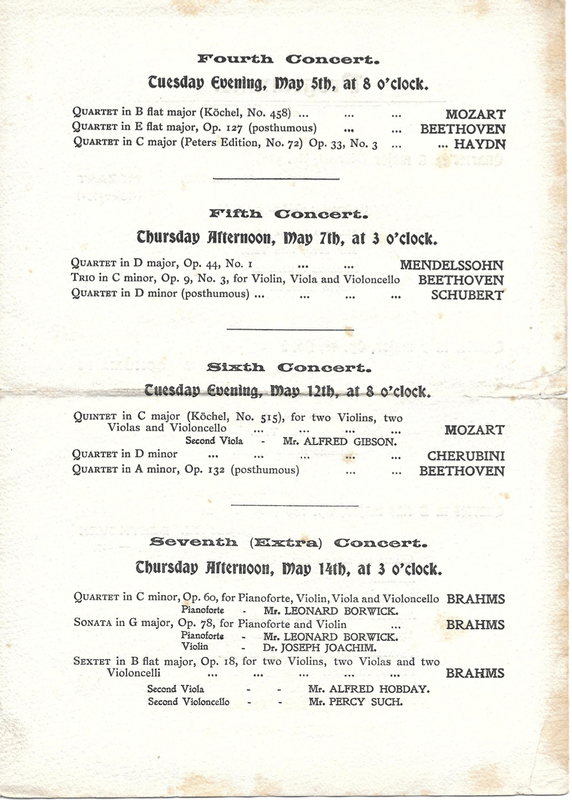 12/6/1852: London, Queen’s Concert Rooms, Hanover Square: Beethoven Violin Concerto, ‘Hungarian’ Fantasy, Paganini 24th Caprice. Ref: Illustrated London News, 12 June, 1852, p. 458; The Morning Advertiser, Saturday, 26 June, 1852, p. 6. 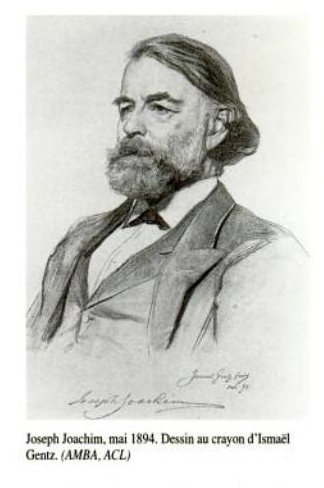 23/6/1852: Oxford, Sheldonian Theatre: Joachim, Bottesini, various artists, Joachim Phantasie über ungarische Motive (Fantasia on Hungarian Airs). Ref: The Era. 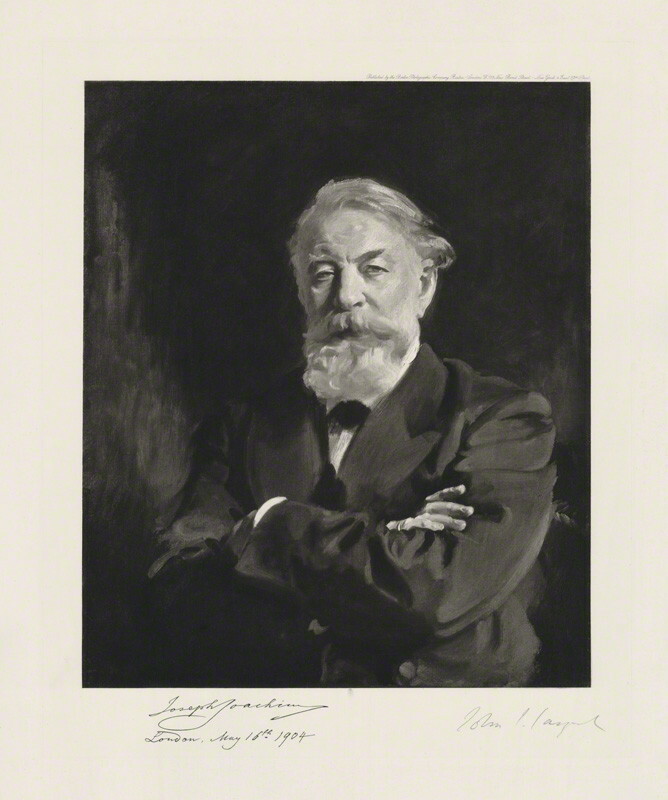 25/6/1852: London, Hanover-square Rooms: Joachim, Ferd. Hiller cond., Beethoven violin concerto, Joachim Phantasie über ungarische Motive (Fantasia on Hungarian Airs). Ref: London Daily News. Morning Chronicle. 5/11/1856: Gasthof zur Stadt London, Göttingen. 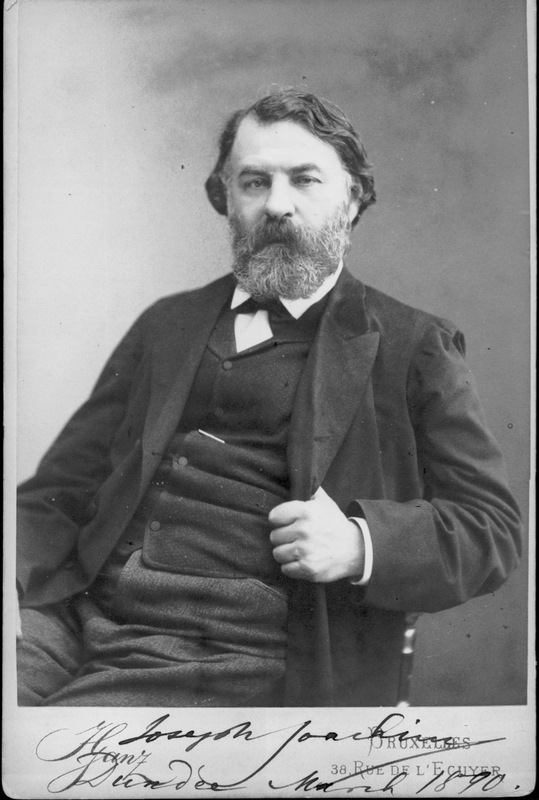 Joseph Joachim, Clara Schumann, Beethoven Sonata G Major, op. 96, Schubert 2 Moments musicals, op. 94 (pf. ), Mendelssohn Scherzo à capriccio F sharp minor (pf. ), Schumann Fantasie, op. 131, Mozart Sonata in A Major, Bach Adagio and Allegro (vln. solo), Schumann Carnaval, op. 9 (pf.). Ref: Michelmann/SIEBOLD, p. 112. 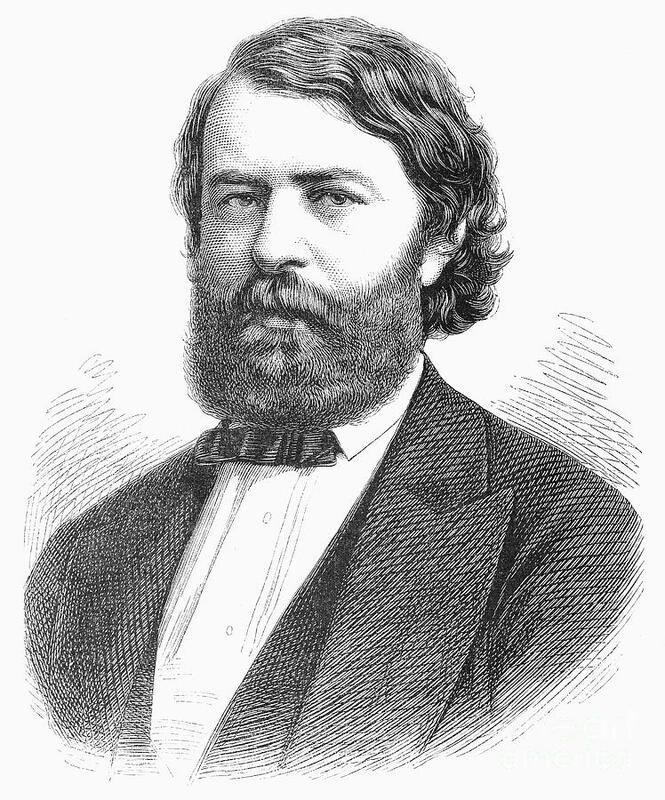 18/2/1857: Mengershausen’s Saal, Göttingen: J. O. Grimm (cond. ), Clara Schumann, pno. Beethoven Sonata G Major (not known which), Bach Praeludium and Fugue. Ref: Michelmann/SIEBOLD, pp. 112-113. 1/6/1858: 7:45 p.m. Liverpool Philharmonic Society: Madame Viardot Garcia, Miss Kemble, Signor Luchesi, Joachim (“HIs first appearance in Liverpool since 1847”), J. Zeugheer Herrmann, cond. Ref: Liverpool Mail, (29 May, 1858). 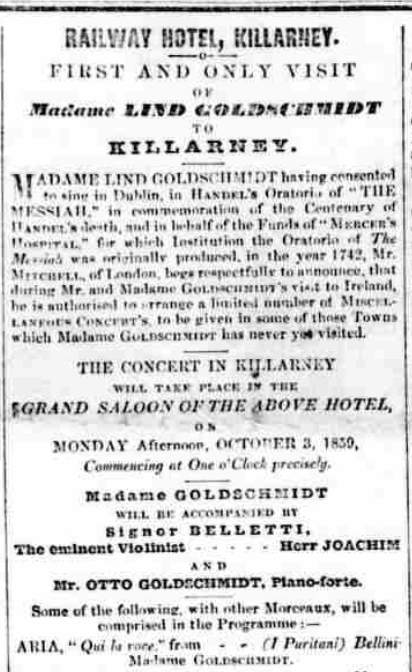 3/10/1859: 1:00 p.m. Railway Hotel, Killarney: Jenny Lind Goldschmidt, Otto Goldschmidt, Signor Belletti, Joachim. Rondo from Mozart “Il re Pastore,” Andante con Variation from Beethoven Sonata, op. 47, Tartini Sonata (Larghetto — Tempo Giusto — Finale), Mozart duo for violin and piano. 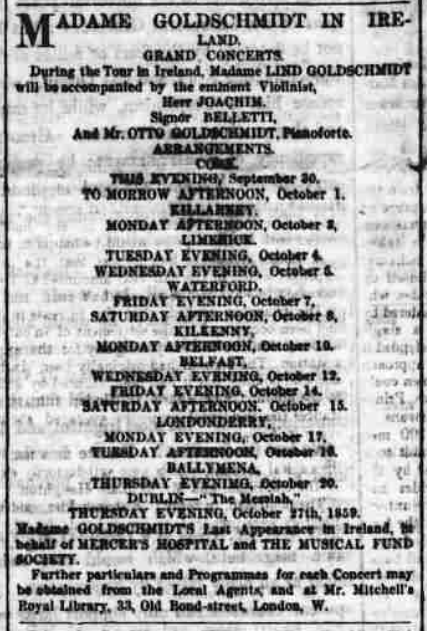 Ref: Tralee Chronicle (2 September, 1859). 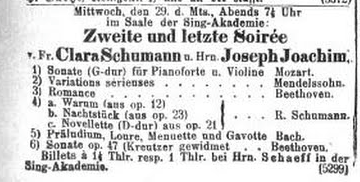 22/11/1865: Singakademie, Berlin: Joachim, Clara Schumann. Ref: National-Zeitung, Berlin, vol. 18, no. 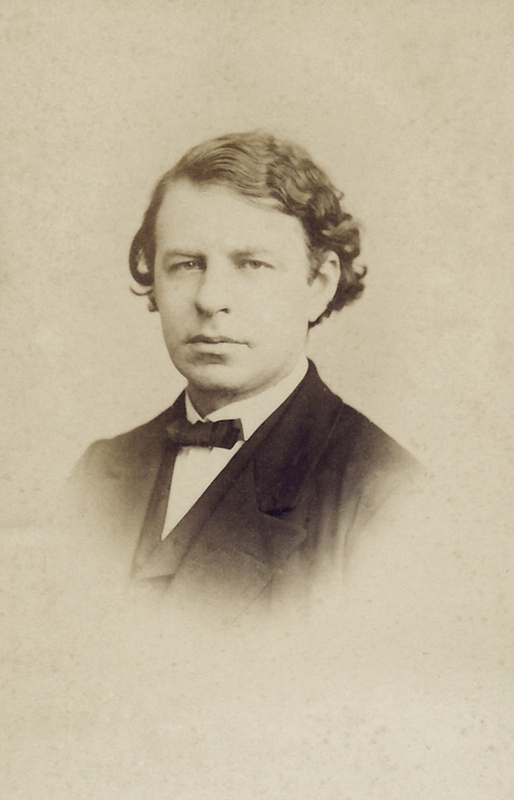 547 (22 November, 1865). 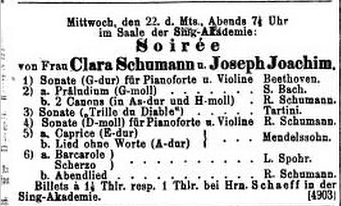 29/11/1865: Singakademie, Berlin: Joachim, Clara Schumann. Ref: National-Zeitung, Berlin, vol. 18, no. 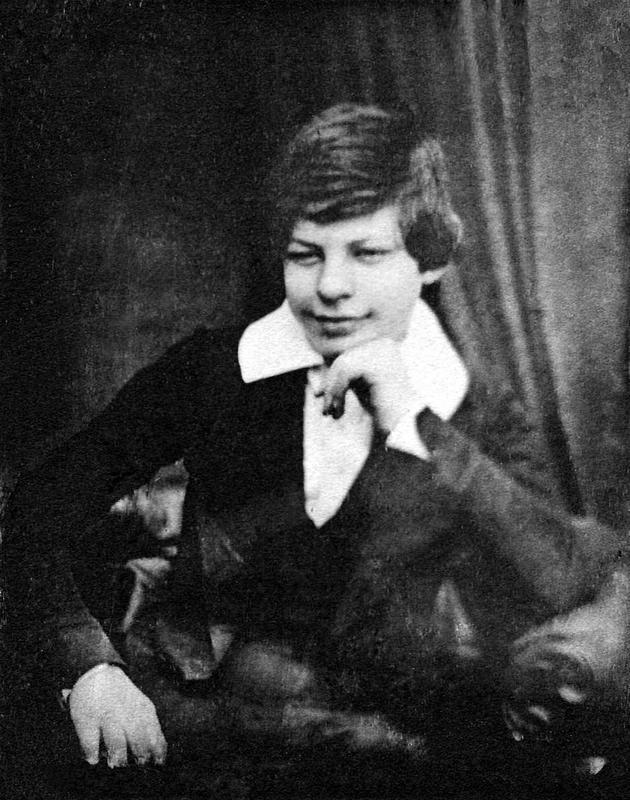 555 (26 November, 1865). 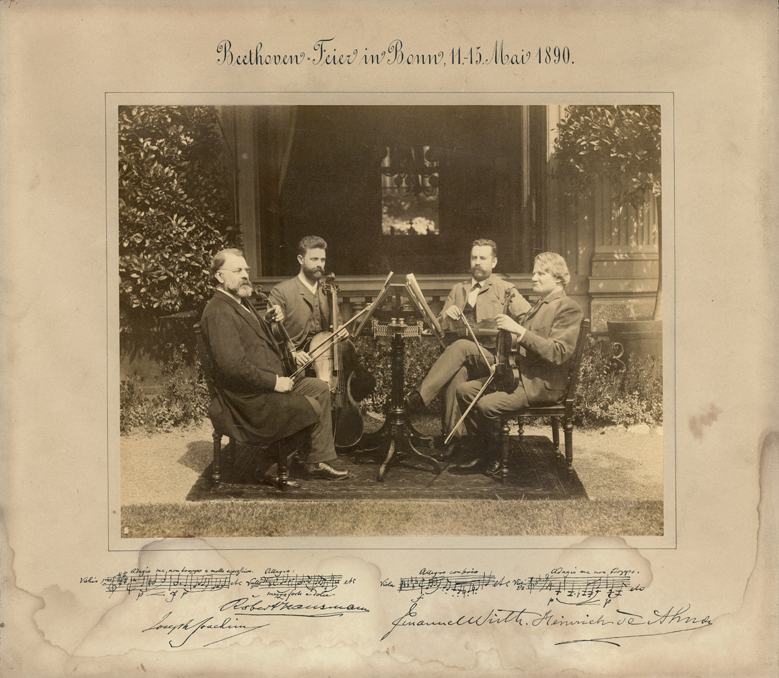 16/3/1867: Crystal Palace, London: Beethoven Violin Concerto; Bach, Prelude and Presto; Romanze from Joachim Hungarian concerto, op. 11. Ref: London Evening Standard, Thursday, 28 March, 1867, p. 6. 1/1/1879: Gewandhaus Leipzig: First Performance of Brahms violin concerto, Beethoven violin concerto, Brahms violin concerto, Bach chaconne. Ref: NZfM (17/1/1879). 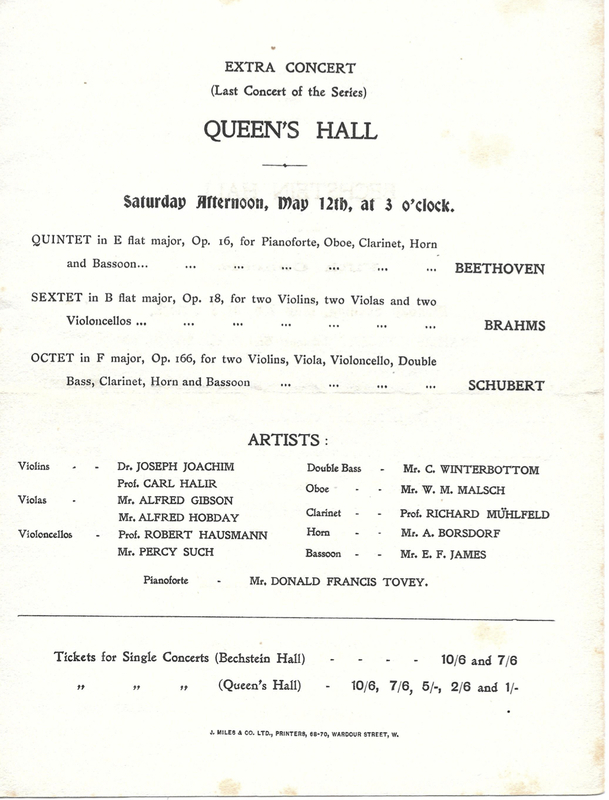 20/3/1879: St James’s Hall, London, Philharmonic Society, W. G. Cusins, cond. Brahms violin concerto. 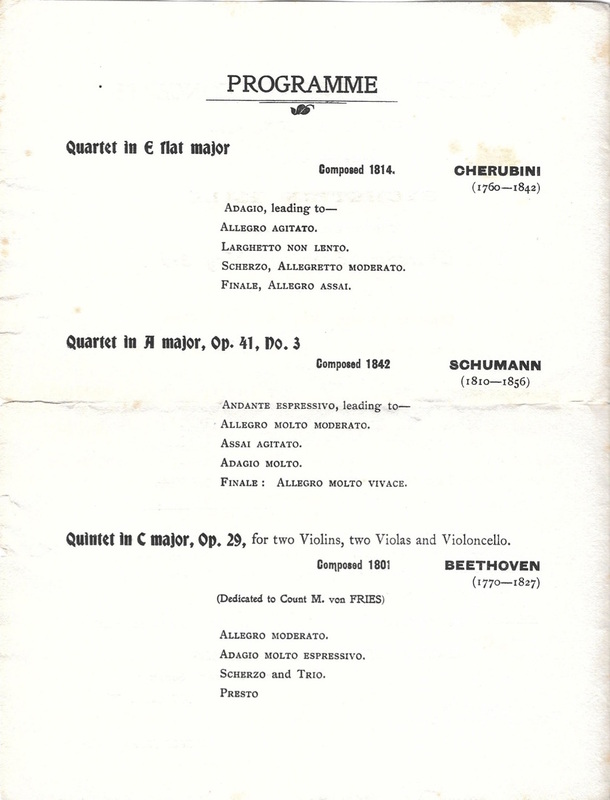 Ref: Program (Schubertiade sale). 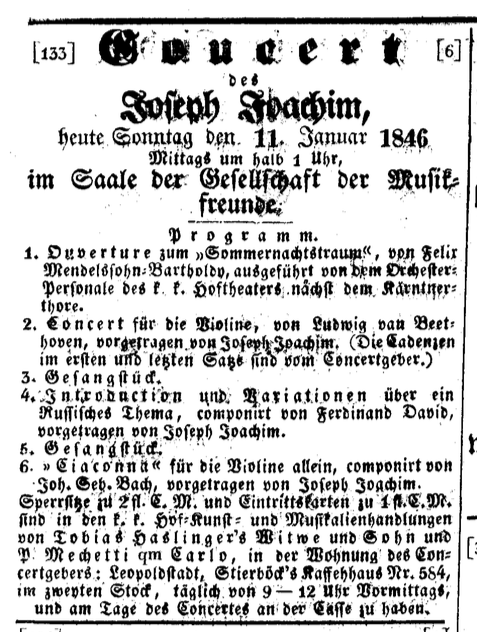 12-26/9/1879: Concert tour with Johannes Brahms through Transylvania. Brahms violin concerto, works of Spohr, Bach, Schumann, Gluck and Schubert; Romanze from Joachim Hungarian concerto, op. 11; Brahms Cappricios, op. 73; Beethoven Kreutzer sonata. Ref: Renate and Kurt Hofmann, p. 146. 13/9/1879: Piano salon Pirnitzer, Budapest: Concert with Johannes Brahms. 15/9/1879: Timișoara: Concert with Johannes Brahms. 19/9/1879: Kronstadt: Concert with Johannes Brahms. 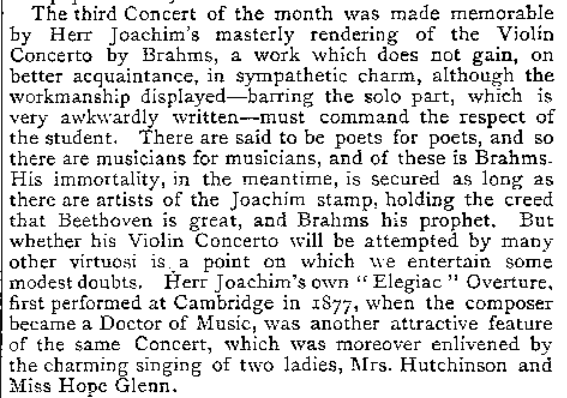 21/9/1879: Hermannstadt: Concert with Johannes Brahms. 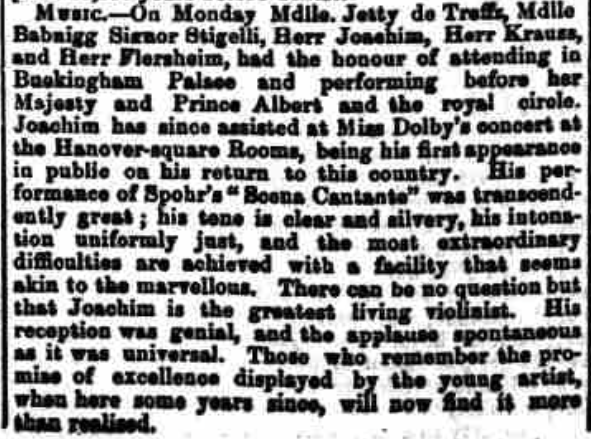 23/9/1879: Klausenburg: Concert with Johannes Brahms. 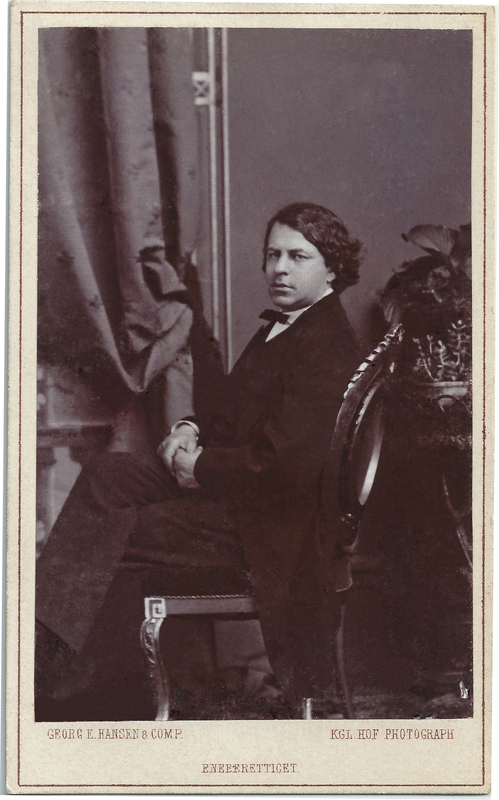 6/1/1880: Milan: Joachim and Bonawitz (piano), Joachim Hungarian Concerto, Hungarian Dances. Ref: Musical Times (1 February, 1880), p. 85. 11/2/1880: 5:00 p.m. Sophieninselsaal, Prague: Recital with Johannes Brahms; Spohr Gesangsscene, 2 Rhapsodies of Brahms (Brahms), Bach Chaconne, Brahms sonata (unspecified), Hiller Adagio, Spohr Barcarolle, Paganini Caprice, Brahms-Joachim “Dva uherské tauce.” Ref: Prager Tagblatt, 11 February 1880. 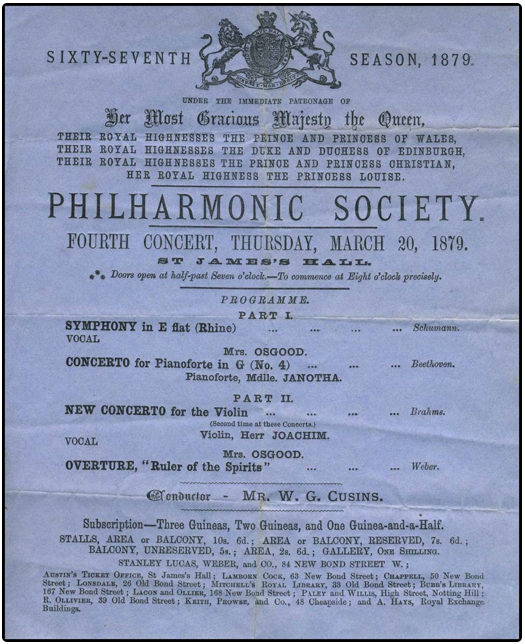 18/3/1880: St. James’s Hall, London: Philharmonic Society (W. G. Cusins, cond. ), Brahms Violin Concerto. Ref: Morning Post (16 March, 1880), p. 1. 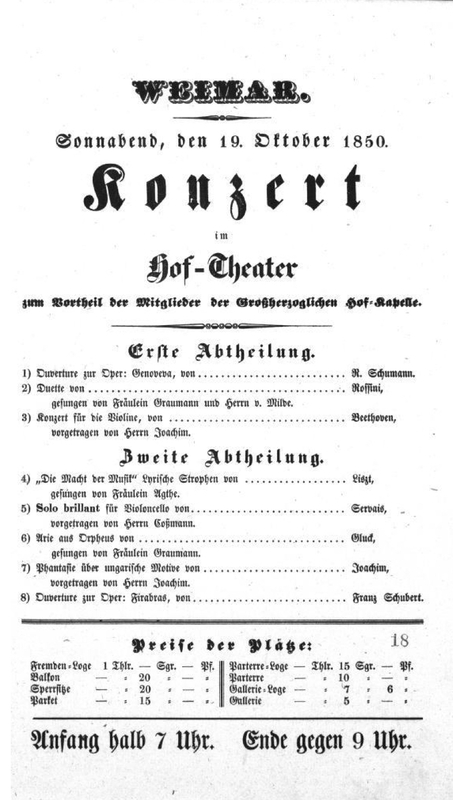 26/11/1881 Gewandhaus Leipzig: Gewandhaus Orchestra, Mozart Sinfonia Concertante (Engelbert Röntgen, viola), Mendelssohn Violin Concerto. Ref: AMZ (30/11/1881) p. 766. 7/2/1881: Cambridge University Musical Society (C. V. Stanford, cond. ): Stanford “Elegiac” Symphony, Brahms violin concerto, Joachim violin variations e minor. Ref: Musical Times (1/4/1882); Bury and Norwich Post (14/3/1882). 23/2/1882: Hallé’s Concert, Manchester: Brahms violin concerto, Joachim violin variations e minor. Ref: Musical Times (1/4/1882); London Standard (27/3/1882). 4/2/1883: Basel. Seventh Concert of the Musikgesellschaft: Mendelssohn a minor Symphony, Brahms Violin Concerto, Ouverture by Joachim (unspecified), Adagio by Viotti, Brahms-Joachim Hungarian Dances, Weber Freischütz Ouverture. Ref: Neue Zeitschrift für Musik, vol. 50, no. 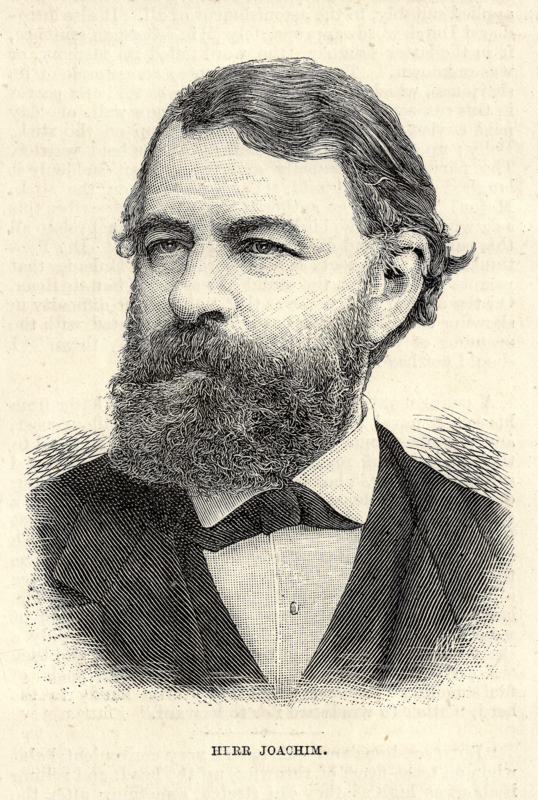 7 (9 February, 1883). p. 79. 16/2/1887: St. James’s Hall, London, London Symphony Concerts: Brahms violin concerto, Beethoven Romanze in F. Ref: The Graphic (5 March, 1887), p. 238; London Standard (16 February, 1887), p. 2. 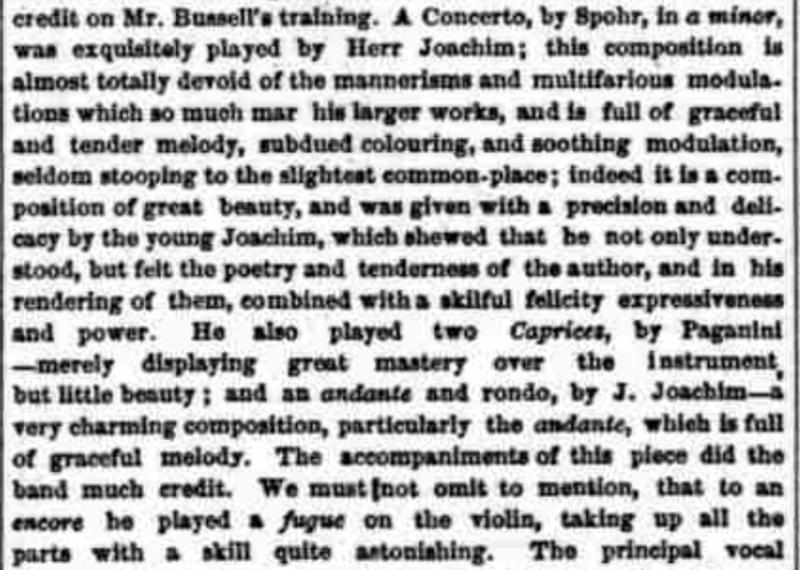 24/2/1887: St. James’s Hall, London, London Symphony Concerts: Brahms violin concerto, Beethoven Romanze in F. Ref: Morning Post (23 February, 1887) p. 1. 5/3/1888: London Standard review of Crystal Palace Saturday Concerts. Bach Concerto for Two Violins (with Geraldine Morgan), Brahms violin concerto. “Dr. Joachim rendered the performance of Brahms’ Concerto for Violin and Orchestra incomparably beautiful, and the applause at its close was tumultuous. 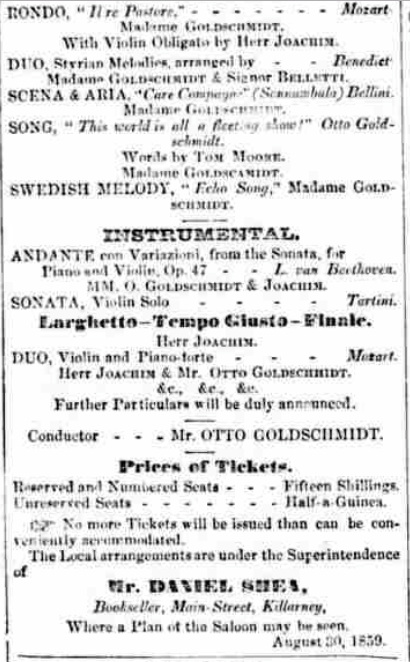 This is the third time Dr. Joachim has played this concerto here, the first being in February, 1879, and the second in March, 1882.” Ref: London Standard (5 March, 1888). Image © Copyright Universitätsbibliothek Frankfurt, Bockenheimer Landstr. 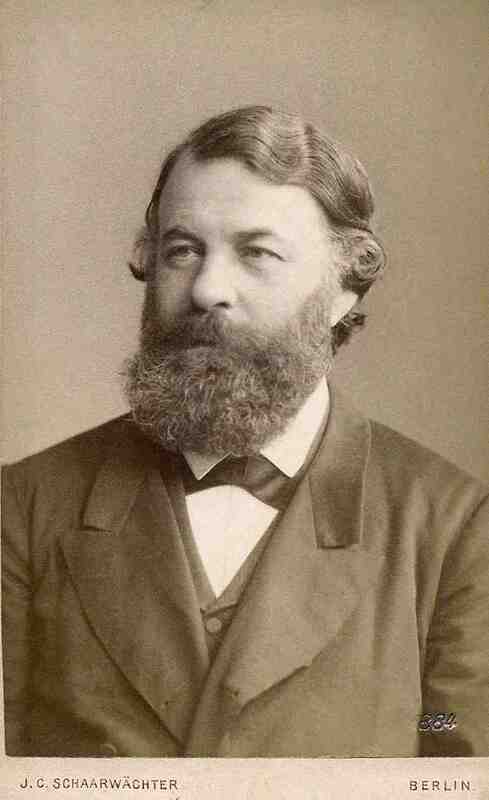 134-138, D-60325 Frankfurt a.M.
26/3/1890: Kinnaird Hall, Dundee: Joachim, Piatti, Davies, Spohr Adagio in e minor from the 11th concerto, two Brahms/Joachim Hungarian Dances. 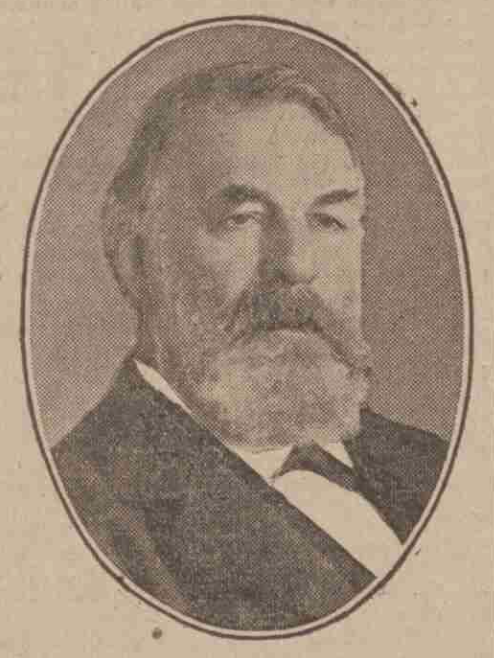 Ref: Dundee Advertiser (17 March, 1890), p. 5. Royal Academy of Music, Museum & Collections, 2004.1969, bequeathed by Norman McCann, 1999. 31/1/1894: Scottish Orchestra Company, Popular Orchestral Concerts. Beethoven violin concerto. Ref: AHRC , Dundee Evening Telegraph (1/2/1894). 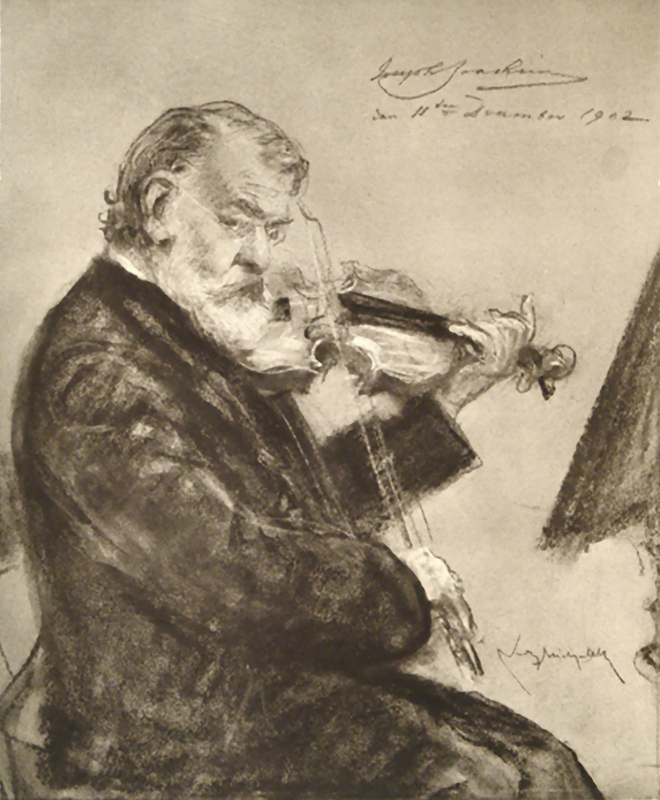 10/3/1894: Crystal Palace London: Joachim Elegiac Overture, Brahms Violin Concerto. Ref: MT Musical Times, (1 April, 1894), p. 241. 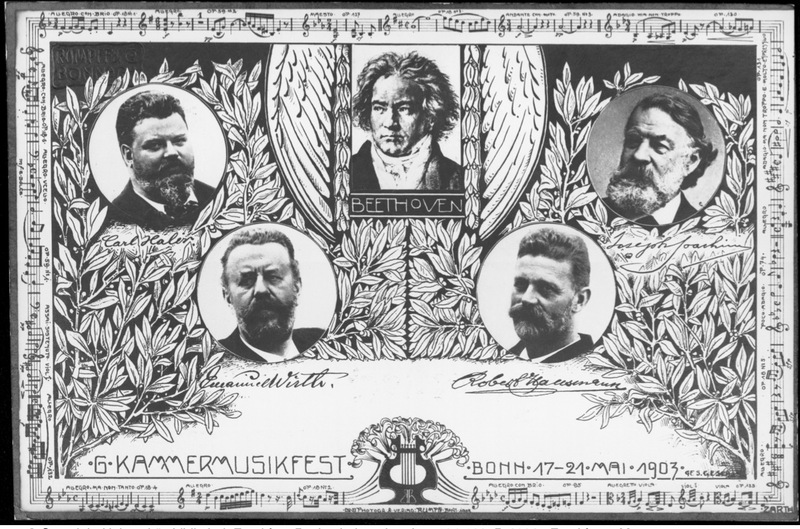 17/5 – 21/5 1903: Beethoven Chamber Music Festival, Bonn. 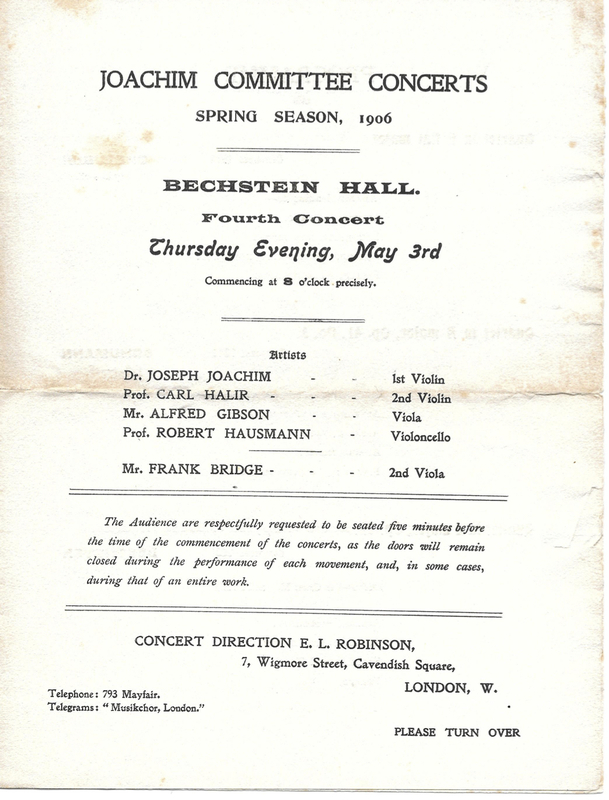 10/5/1906: Bechstein Hall, London: Joachim, Borwick, Sonatas of Bach, Mozart, Beethoven, and Brahms. Ref: The Times, London, 5 May, 1906. 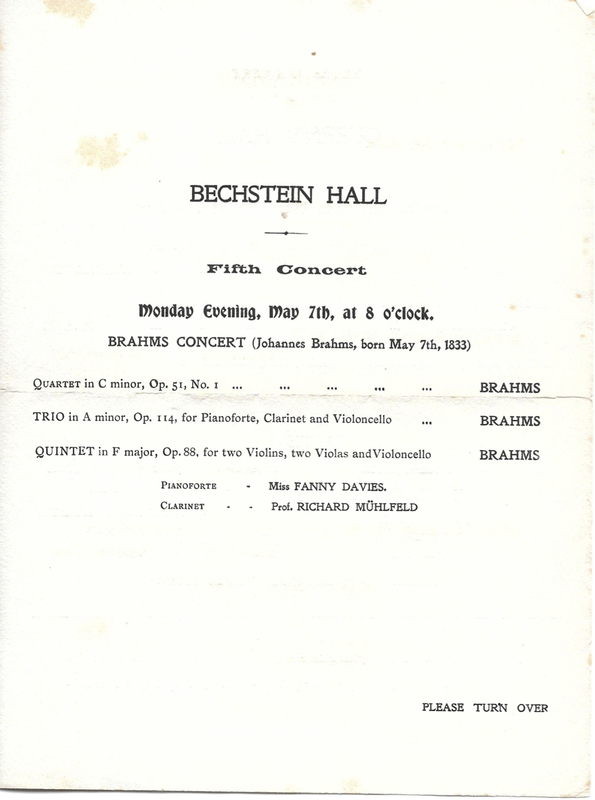 14/5/1906: Bechstein Hall, London: Joachim, Davies, Hausman, Trios of Beethoven and Brahms. Ref: The Times, London, 5 May, 1906. Any photo or news about EDIE REYNOLDS, a she violinist pupil of Joachim, and born in Budapest? I don’t know her. How did you hear of her? Do you have information to share? Where did she study with him, Berlin? I’d be interested to find out.